Forks how about the seat stay? Thanks for publishing the review – great information! To clarify a few small details. The CNC process actually is a process that allows us to cut out a more complex design/pattern out of a single piece of aluminum. This allows the crank to be stronger / lighter. The Black Label crank is higher-end that the “molded” cranks you’d see on other bikes and much lighter as well. Cost incidentally, is higher with the CNC’d machining process. As for the tires, you’re correct that 28c should clear and maybe 32c depending on the brand. Saddles are definitely personal preference, hope you can continue to enjoy it, customize it, and make it your own! 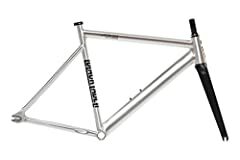 Will this bike good for a 25km commute? Cool that ya have access to a velodrome, is it just open to use for anyone? It’s not a bad bike at all, nice complete. 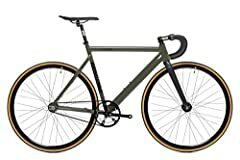 Price is right in line with the Aventon Mataro 2018, I think that one goes for a bit cheaper at $589. If you’re looking at buying the Black Label the Mataro might be worth taking a look at also. Comes in a little lighter at 17lbs too, just a suggestion. Both seem pretty nice for the money, the State CX bikes look sick too. Cannondale Contro on Shimano Alivio bike review. Urban Bicycle. City and style! Early Rider BELTER 16″ URBAN Bike Review – Best Children’s First Bike?